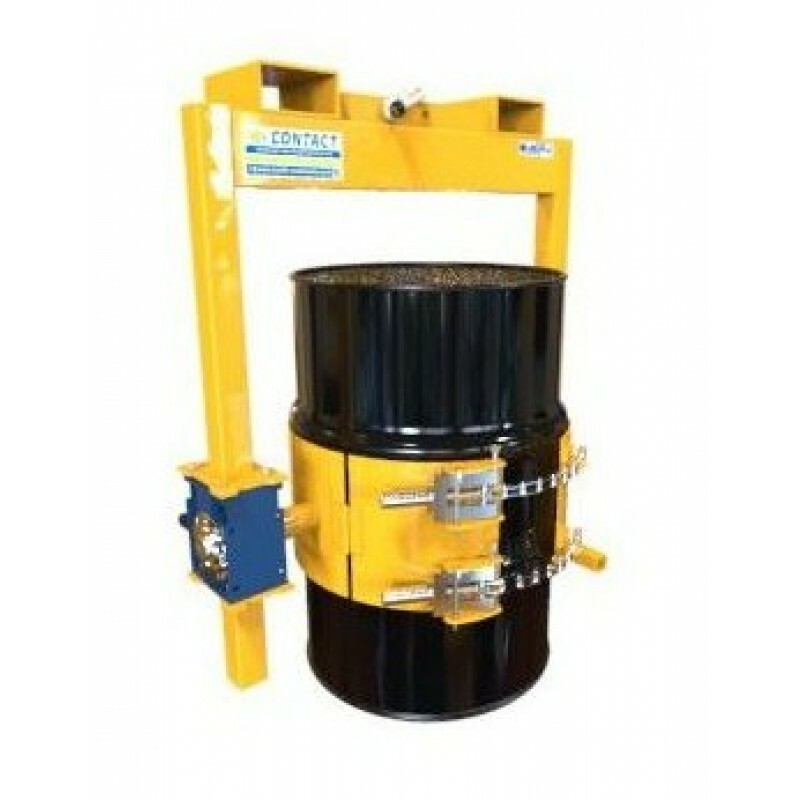 A heavy duty version of our crane slung drum rotator, designed to handle 210 litre steel drums only, containing heavy product such as powder, scrap, lead steel components etc. A heavy duty steel girdle fitted with two over centre clamps ensure the drums are gripped firmly at all times. 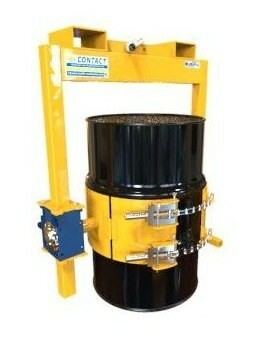 Rotation of the drum is carried out by a crank handle fitted to a high quality gear box. 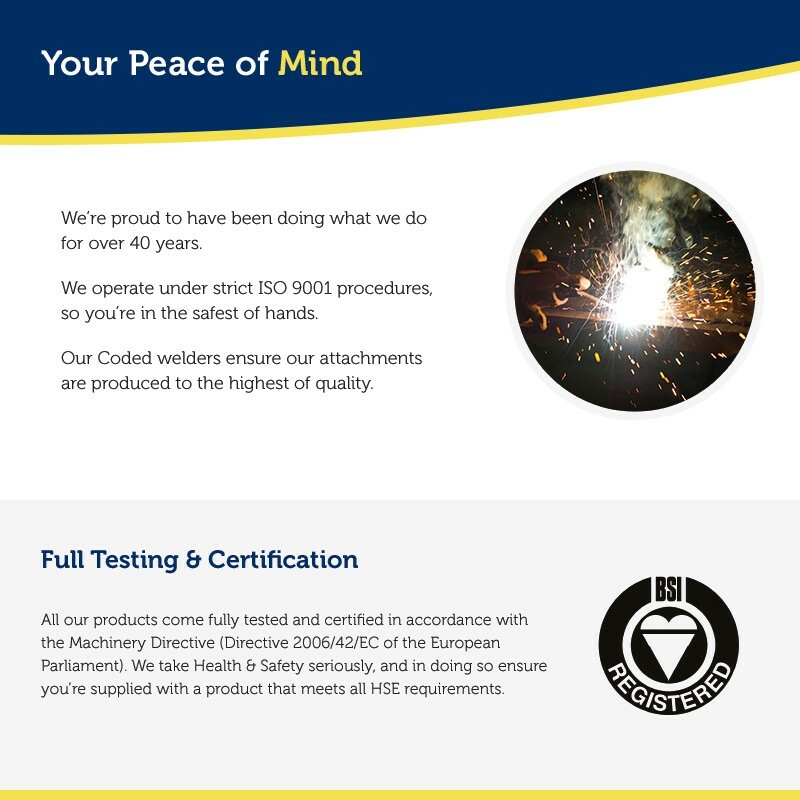 Like all our forklift attachments, the heavy duty crane slung drum rotator will come fully tested and certified to comply with the latest Health & Safety Regulations.